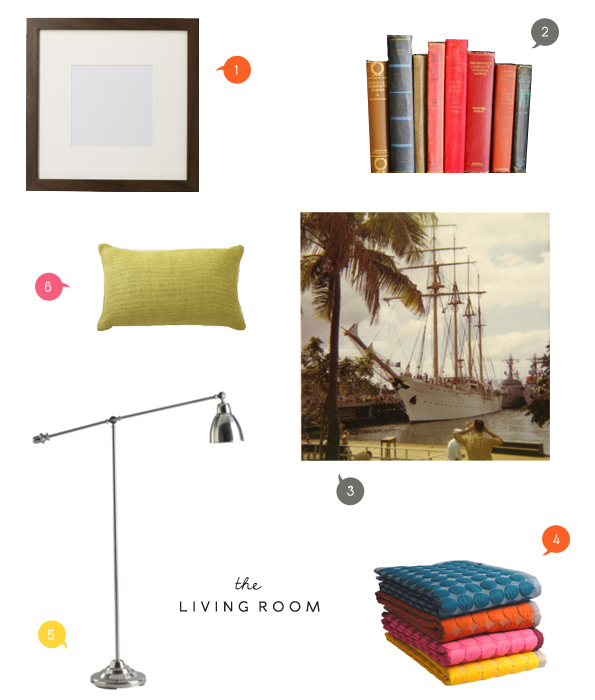 Now that we've upgraded our sofa, I've been thinking about a few ways to spruce up our living room and add a little color. Here are some of my ideas. I love the idea of blowing up old family photos! So clever.